Carl ‘C. Jim’ Hockinghomer of Bonne Terre, Missouri, was born October 2, 1928, in Caledonia, Missouri, a son of the late Joseph and Elizabeth (Miller) Hockinghomer. Jim departed this life on February 10, 2018, at St. Joe Manor Nursing Home having reached the age of Eighty-Nine years, Four months and Eight days. Carl was united in marriage for sixty years to the late Stella Ruth ‘Ruthie’ (Williams) Hockinghomer on October 7, 1949, in Caledonia, Missouri. Carl is survived by two daughters, Deborah ‘Kay’ Lands of Bismarck, MO, Sharon Brooks and husband Dennis of Arnold, MO, one sister, Eleanor Katherine Bell of Herman, MO, four grandchildren, Christopher Bryan Lands (Theresa Golden) of Belgrade, MO, Matthew Wade Lands (Robin Morris) of Bismarck, LeaAnn Ruth (Curt) Roth of Festus, MO, Krystle Beth (Bryan) Hoisington of Imperial, MO, five great grandchildren, Whitley Lands, Jordan Lands, Coy Lands, Carter Roth and Miles Roth. In addition to his parents and wife, Ruthie, Carl was also preceded in death by one brother, Charles Joseph Hockinghomer, two sisters, Mary Frances Tiefenaurer, Bessie Alva Powell and a son-in-law, Ronnie Lands. Carl was a 1947 graduate of Caledonia High School, where he played basketball. He was a member of Tyro Lodge #12 AF & AM since 1959, Tyro Lodge #321 OES and Feeder Calf Association for over 25 years. Carl enjoyed hunting, fishing and farming. In his free time he enjoyed traveling and taking care of his home. Carl was an electrician by trade and worked 24 years at Bixby Mines, Teamsters 688. 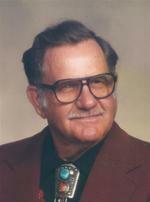 To send flowers to the family of C. Jim Hockinghomer, please visit our Heartfelt Sympathies Store.